Music students at The Sixth Form College, Solihull took part in practical workshops with students from the Birmingham Conservatoire last week. 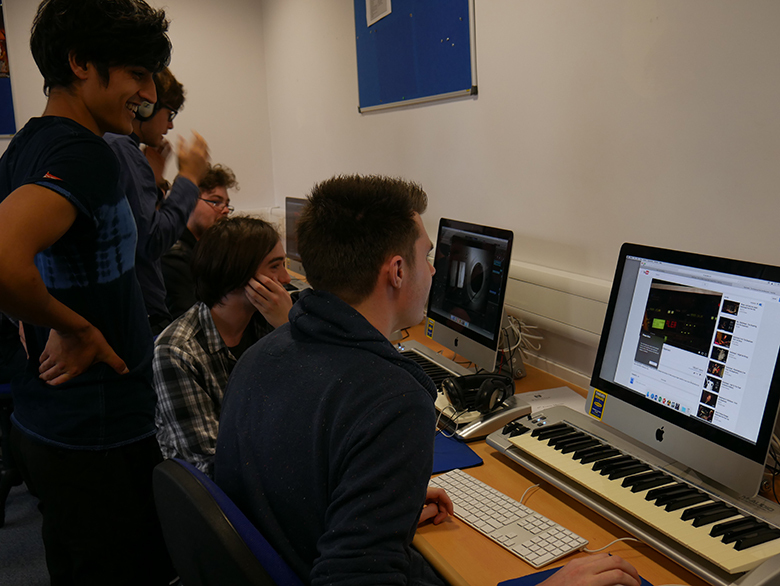 Students on the A level Music and Music Technology courses took part in the workshops with undergraduate and Masters students from the Birmingham Conservatoire who are currently studying both Music Technology and Composing degrees. The practical sessions centred around composing, with Conservatoire students offering feedback on our students work, as well as suggestions for improving their work. Composing forms 30% of the A level Music course and more than half of the A level Music Technology course. Music students will be performing at a Christmas Concert next month. Taking place on Wednesday 14 December at 7.00pm, this concert is free of charge and tickets are available by telephoning 0121 704 2581 or emailing Marketing at the College.